MileSplit: What are your thoughts coming off a very successful XC season, culminating in a runner-up spot at Foot Locker? Sean: I couldn't have asked for a better year. What really made it special for me was how well the team was able to perform right along with me. We all got faster each week. It was such a great feeling to be able to share successes with them. We were serious and fun, and at times… seriously funny! From an individual stand point I am very proud with the way my coach set us all up to race hard mentally each week and progress through the year to attain our team and personal goals. 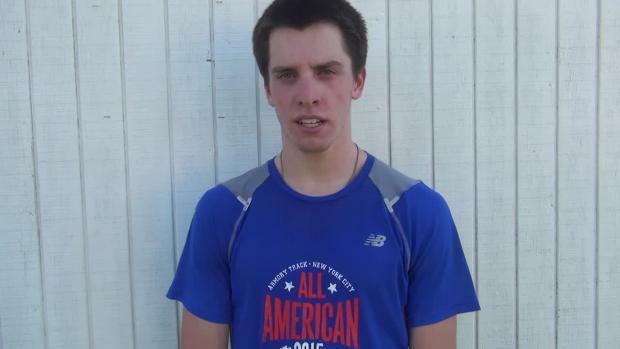 MileSplit: Your XC fitness has certainly paid off. 9:07 for 3200 and 4:11 and 2:30 for 1600m and 1000m. How does this set up the rest of your senior campaign? Sean: I think these times are great starting points. I was thrilled with these times so early on because I am still just building my base back up. I’m excited to see what happens at the end of indoors and especially outdoors. 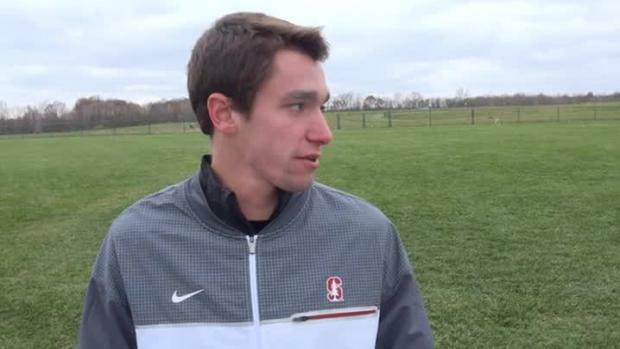 MileSplit: If you had to throw it out there, how fast do you think you can go for the mile and 2 mile indoors? Sean: Indoors I think I can break 9 minutes for the two mile, how far under 9, I will just have to see. I double and triple a lot during the championship season which makes it hard to run really fast but I look at it as quality work that will really help during nationals and into the outdoor season. As for the mile I think that if I feel good I could go 4:05 indoors. 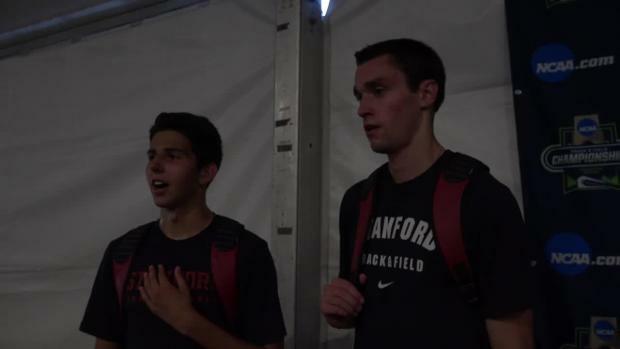 MileSplit: What is your focus going to be during this indoor season? Sean: I want to focus on a couple things. First, keeping a solid base. It’s easy indoors to lose some of your base because of the weather, so I want to try to keep it pretty solid. Second, it’s time to start moving toward speed endurance so that come outdoors I will be really ready to run fast. Sean: I would have to say that my family and coach have been the most influential in my success so far. My coach has done a great job in helping my progress and get faster each year and has really been fun to work with. My dad is someone I can always talk to about running and is key component in what I do. My mom is my biggest cheerleader and my brothers keep me grounded and make me laugh all the time. MileSplit: Your favorite track & field event(s)? Sean: I have always loved the mile. I enjoy the two mile, but to me the mile is such a special race with so much history. Be a miler! MileSplit: Your track & field event coach(es) and what they mean to you? Sean: My head coach Matt Gilchrist has been with me from the beginning and I couldn't have asked for a better coach. He is always able to make me and the team laugh and is great with communicating about workouts. L.A. Snead is our main assistant and he is such a great motivator. He is out there running around screaming at everyone, he’s great! The other assistants really balance everything out and keep it fun. MileSplit: Keys to your successful track & field training program? Sean: I think I have been successful because I have always listened to my body and I have progressed my training each season. My dad makes it seem so simple and natural. He has helped me move just one step at a time. He really looks out for over training or signs of injuries. MileSplit: Your favorite track & field meet? Sean: Not sure if this counts, but the Olympic Trials when I ran the mile with Nike Elite is easily my favorite meet that I have competed in. The environment was just amazing! MileSplit: Your favorite performance in track & field? Sean: My favorite performance in track & field is probably cross country states. Our team won, I won, and I was able to get a new state record. 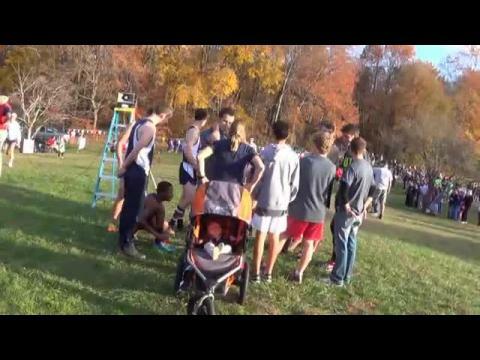 Our girls team ran well, we had so many Chantilly fans, everything about that day was kind of special. MileSplit: Track & field athlete(s) you most enjoy competing against? Sean: My favorite athlete to compete against was Ahmed Bile, but he graduated last year (which I guess is good!). I always enjoy racing people from my region, but nothing beats going against the best guys in the country and last year Ahmed was the total package. 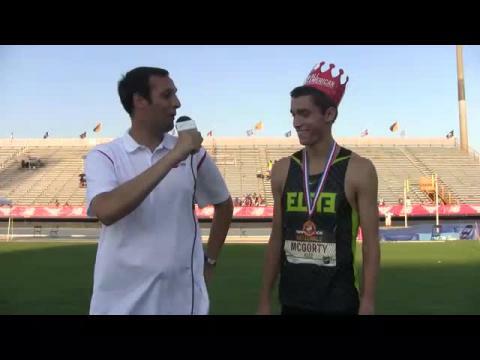 MileSplit: Your greatest experience in track & field so far? Sean: My greatest experience was taking part in the Nike Elite camp. To be around all those great runners was awesome. The coaches all gave us great advice and helped us all raise our expectations. MileSplit: Goals for the 2013 indoor track & field season? 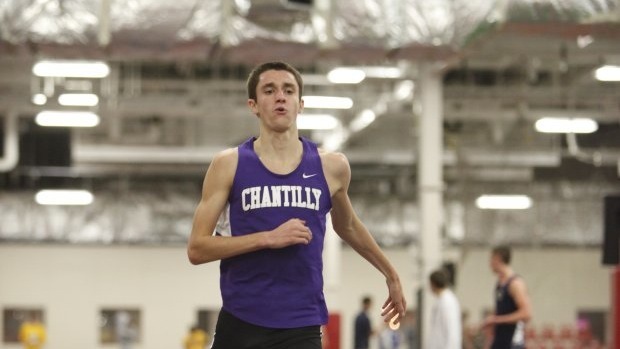 Sean: My goals for the indoor track season include breaking 9 in the two mile, running close to 4:05 in the mile, winning states in the something, and getting all-American in an individual event. We may even go after the 4x 1 mile at Nationals as well! MileSplit: Long-term goals in track & field? Sean: My long term goals are to stay health and keep taking steps each year to become the best runner I can. There are so many people who could be really could but get hurt. I even see it in high school. Long term, I could say, “Olympics” or “NCAA Champ” but really I like to focus on one year at a time and to make progress. One of the things I really liked about coach Miltenberg at Stanford was that he repeatedly stressed that he had long term goals for me and that running is going to be a journey. Sean: Shorts over jeans – that’s why I’m headed to California! What mobile device are you rocking?